This book is a collection of Ravenshead images compiled by lifetime resident of the village, Philip Jones. It has 40 pages, 38 of which carry images all in black and white, but reproduced to a high quality and captioned in a most informative way. 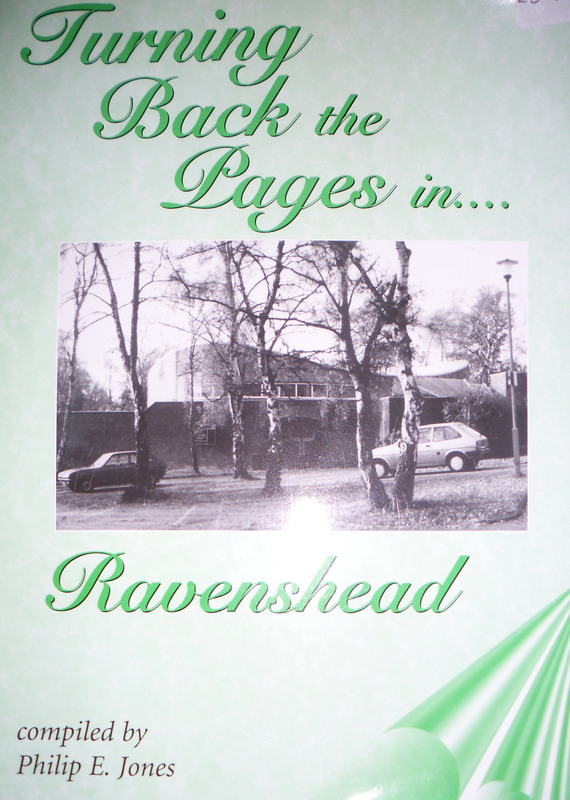 Ravenshead is situated about 4 miles south of Mansfield and grew out of a number of distinct residential areas in the 20th century, including Fishpool, Larch Farm, Abbey Gates and Kighill, which formed parts of the parish of Blidworth and the Liberty of Newstead. Most of the development of the area did not take place until after the First World War, with large-scale building commencing in the early 1950s and going right through the 1960s and 1970s. A new ecclesiastical parish was formed in 1971 and a civil parish in 1987. The area became officially known as Ravenshead in 1966. The book contains several pictures of what the area looked like before the 1960s and the later housing developments took place. Much of the area was agricultural land and images of many of the farms can be found in the book, including Larch Farm, once owned by William Hollins of Berry Hill Hall, Mansfield, and Longdale Farm, which in 1933 became a Youth Hostel for a short period of time. Of particular interest are images of the Fishpool Gold Hoard, which in 1966 was the largest find of medieval gold coins in Britain; the Free Methodist Chapel built in 1864; the building of St. Peter’s Church in 1971; Newstead Hospital, which was opened in 1942 by the City of Nottingham as a TB sanatorium; and the opening of the village’s first supermarket three days after the introduction of decimalisation of currency in February 1971. Wallow in nostalgia as you rediscover the prices of corn flakes, tea, flour, washing powder and other commodities in both old and new currencies on opening day. The book is available from the author, Philip E. Jones, 40 Regina Crescent, Ravenshead, Nottingham, NG15 9AE, price £3.95, including postage, or through most libraries in Nottinghamshire. As a child I remember going with my grandparents Jesse and Beatrice Stow to the little chapel on Chapel Lane. Happy times decorating the chapel for Harvest Festivals. My grandfather was a Methodist local preacher and he and my grandmother kept the little chapel going. my grandmother died in 1952 and her obituary mentions her great sadness when the chapel closed. I would walk down to the chapel with my grandmother and on the way we would collect Miss Eldridge who was the organist. I remember in 1952 working on a Bungalow on Kighill Lane and the owner saying no one wanted to live in the area and Land prices were rock bottom, 1.5 p a square yard was the price I believe!! I guess the motor car ownership changed all that when people were prepared to live out of Town!! I also recall there were no shops at Kighill, we used to stop at a Bungalow where the lady took the bread in, (Plain Unwrapped Bread), for those who lived in the small village. The drive of the Bungalow was long, and so was the garden at the rear. I believe most of the houses were built on at the least an Acre of land in those days, probably still are. Bread was 4½d a loaf. As a young boy in 1949, working as a Van boy for Landers Bakery, there were very few houses in this area. As you turned off the main Nottingham Road in to what we always knew as Fishpool, we drove a couple of hundred yards to the only shop on the right in the village. The houses at that time were few and far between. In my mind I can see the owner of the shop, but unfortunately I cannot bring his name to mind. What a wonderful time and pace of life it was in those days. We continued along Notts Rd., turning down to Linby, another very small village, and then crossing Notts. Rd. again, we turned down to Papplewick village, and then onto Hucknall.